Whale Tale by Anderson HS – Robotics! We appreciate the support of CANstruction participants and sponsors year after year to help us kick off the holiday event season. This year’s competition brought in more than 35,500 pounds of food (up from 25,000 last year) which will help us provide close to 29,600 meals to families this holiday season. Be sure to check out our photo gallery on Flickr to see all 14 structures. They are simply amazing. 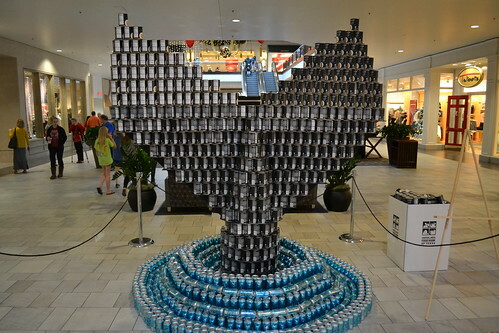 If you want to join in the fun next year, contact CANstruction Austin. If you enjoyed this event, we have many more events that will put you in the holiday spirit including the Austin Empty Bowl Project and Preview Party, the Downtown Sing-along and Holiday stroll, the Ladybird Johnson Wildflower Center’s Holiday Luminations and the Whole Foods/Cap Metro Stuff the Bus.